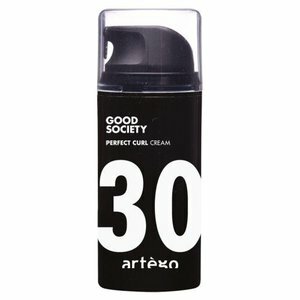 Forming cream for frizzy hair. The care-giving and form-giving Artego Good Society Perfect Curl 30 Cream brings even curly hair definition, it maintains silky, elastic and shiny. With effective heat protection when styling with a hairdryer, diffuser or flat iron. With the sensual and playful scent of vanilla. Add a pea-free amount to dry or damp hair. Wet hair as desired. Do not rinse.